Have you ever wondered how Victorian women managed to sit down in those beautiful gowns that were so full at the back? This fullness was provided by the bustle, a type of framework that also supported the weight of the drapery of the back of the dress. 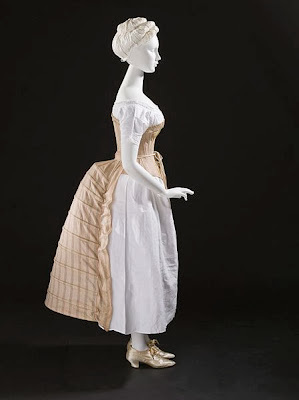 During the 1870′s and 80′s, they became the height of fashion.